Huami, which is one of Xiaomi’s ecosystem brands, is expected to launch a lineup of smartwatches on September 17. The news comes in the form of a Tweet posted by tech blogger who goes by the name bang_gogo. The micro blogger posted a group of teaser images which show off a goodie pack received from Huami. Apart from stating the September 17 date, it bears the lettering ‘Amaze the Life, Fit the future’ signifying the fitness-oriented features of its watches. Inside the box, something showing off the Avengers: Infinity War poster indicates a possible collaboration with Marvels. Xiaomi provides patronage to various brands among which is the Huami which currently offers four smartwatches in India from Amazfit series. The lineup consists of Amazfit Bip, Amazfit Stratos, Amazfit Cor and Amazfit Pace which are priced at Rs 5,499, Rs 15,999, Rs 3,999 and Rs 9,999, respectively. 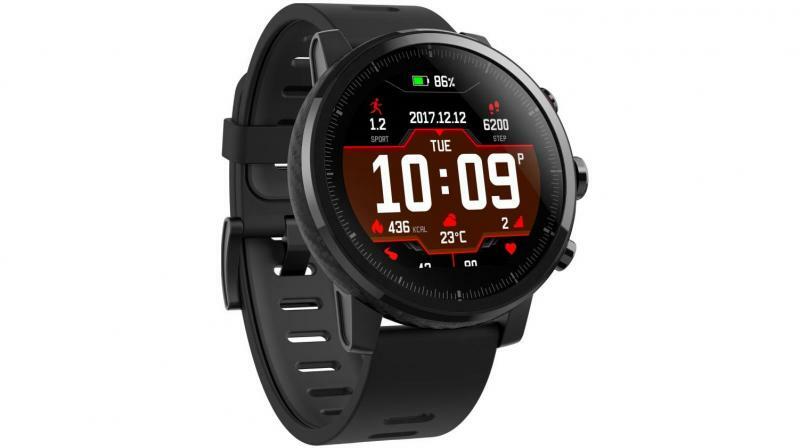 Among these, the recently launched offerings are — the Amazefit Bip with square dial featuring heart rate sensor and GPS tracking and, the Amazefit Stratos boasting round dial, incorporating features such as GPS tracking, 5ATM water resistance and interchangeable straps. The devices are mainly focused at the young fitness enthusiasts as they get Huami’s exclusive UI which can be used with all types of smartphones.